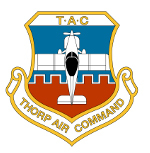 Thorp Air Command - T18.net • View topic - Help signing off in the T18. Help signing off in the T18. Post subject: Help signing off in the T18. Anyone have any contacts or information leading me to a CFI/Thorp owner in the Oklahoma region? Preferably closer to Tulsa. Contacted Gary the Ambassador for OK with no luck from his side. Any leads would be appreciated, Thanks! Post subject: Re: Help signing off in the T18. Not sure about Oklahoma. We have two Thorp CFIs in Las Vegas. I occasionally get an OKC overnight. Might be able to work something out. I don’t know his name or if he is a CFI but there is a Thorp in Vinita. I am not a CFI or I may have been able to help. [quote="James Grahn"]Not sure about Oklahoma. We have two Thorp CFIs in Las Vegas. I occasionally get an OKC overnight. Might be able to work something out. If that works out that'd be awesome, being Oklahoma doesn't seem to have too many Thorp owners out here. I'm interested in anything! I'll have to ask around. There has to be someone around the patch that knows another Thorp owner. Thanks for the lead! I am in Enid, what are you looking for? Assuming this is to satisfy an insurance requirement, does it have to be a Thorp? The agent with Hardy Aviation Insurance gave me the option to check out in anything similar (Mustang II, RV, etc) but nearly all of my time is in taildraggers.